​Myrna Pearman has written a monthly nature photo essay in the Red Deer Advocate since 2010. This book is a compilation of these columns from October, 2010 to December, 2015. You can get more information and purchase this book at Ellis Bird Farm online store. ​You can get more information and purchase this book at Ellis Bird Farm online store. This book is about Ellis Bird Farm, which was founded in 1982 to honour the legacy of Lacombe-area conservationists, Charlie and Winnie Ellis. The book outlines the history of Ellis Bird Farm and describes the wonderful place that is has become. The farm attracts over 10,000 people a summer and boasts beautiful gardens, a Tea House and a Visitor Centre. Popular, nature-based educational activities are offered throughout the summer. This book is full of spectacular nature photographs. A reprint of this book will be available in the spring! nextbox plans that are functional, easy to follow and extensively tested. all the information you need to design, build and place nestboxes for more than 40 species of cavity-nesting birds native to the Canadian prairies. guidance on how to monitor and maintain an effective nestbox trail and how to keep records of it's success. solutions to potential problems on the nestbox trail , including ways to deal with pest species. the history of cavity-nesting bird conservation in Canada, and a map of both historical and current bluebird nestbox trails on the prairies. -the latest research on all aspects of setting up and maintaining est box trails. -the findings and field experience of nestbox trail operators from across North America. -the natural histories of all the cavity-nesting birds on the Canadian prairies-from owls to bluebirds, from creepers to kestrels and from ducks to nuthatches. -54 colour photographs and more than 80 beautiful illustrations. -a resource file listing the addresses of conservation organizations, nature centres and wildlife rehabilitation facilities across the prairies. 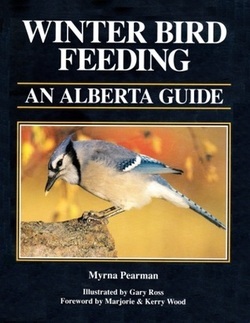 Ellis Bird Farm biologist, Myrna Pearman, has teamed up with bluebird experts from across North America to bring you this up-to-date and comprehensive guide! 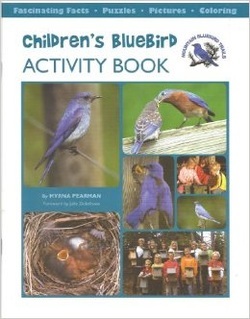 Join Ellis Bird Farm Biologist and life-long bluebird enthusiast, Myrna Pearman, on a journey into the fascinating world of bluebirds! Learn about where bluebirds live, what they eat, and how they go about their daily lives. Most importantly, learn about what YOU can do to help these most beautiful birds! ​Sorry, this particular book is no longer for sale.